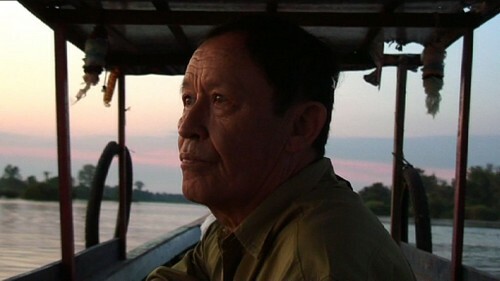 Feature film by Alain Mazars shot in Laos. Selected at Montreal International Film Festival "Nouveau Cinéma". An old Eurasian backpacker dreams of becoming a shaman. A rumor is spreading in South-East Asia saying that nomads hidden in a forest can raise the dead. A criminal kills the travelers he meets. Sélection du Festival du Nouveau Cinéma de Montréal 2010. LIFELINES is a beautiful movie whose title itself is a paradox about warding off death, the fantasy of parricide, sibling rivalry, deadly hands and the strength of petals and prayers. The soundtrack, the incandescent photography, and then the dimming of the picture all come together in a melancholic world. Michka Gorki (cinéaste française membre de l'ACID).